For the third time in six years, Inspire Homes has been selected a finalist for the BILD Renovation and Custom Home Awards. 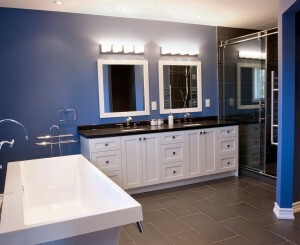 This year, we are a finalist in the under $75,000 renovation category for our Mississauga Bathroom Renovation. 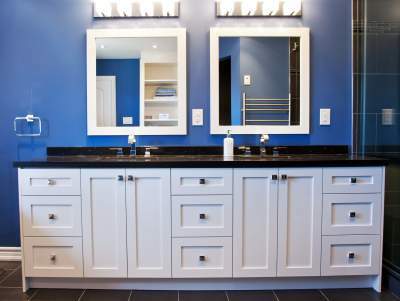 The project involved a full renovation of a large master bathroom, to create a more functional layout and updated finishes. Before and after photos can be viewed on our Project Gallery, and a blog article provides more information on our approach to the project. Winners will be announced on March 14, 2014, on the opening day of the National Home Show. Photo display boards for the finalists will be on display at the BILD’s Destination Renovation booth at the National Home Show from March 14, 2014 to March 23, 2014. Inspire Homes was previously nominated and won Best Renovation Awards in 2009 for Craftsman House Addition, and in 2012 for Toronto House Addition.